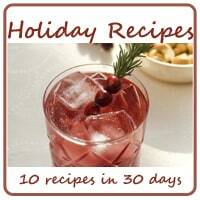 Sometimes it’s the extra touches that can make your holiday party. From food to decor you tend to plan out every part of your party or get together. How about a yummy take-away for your guests? 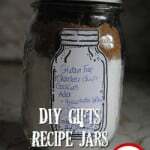 They’re super easy and you can even get the kids involved! Mini Candy Canes – they will be on the shelves soon enough, but if you can’t wait you can do what I did andorder them on Amazon! 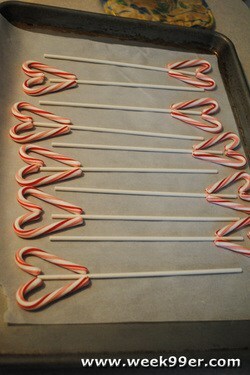 Lay out your candy canes facing each other to make a heart and place the stick in the center. It should touch the tops and bottoms of both candy canes. Bake in your oven for about 3 minutes. 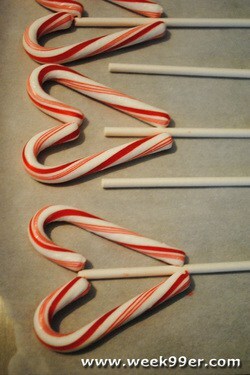 This is only to make your candy canes soft enough to shape them to hold to the stick. Remove from the oven, remember it’s hot – this is a step parents should do! 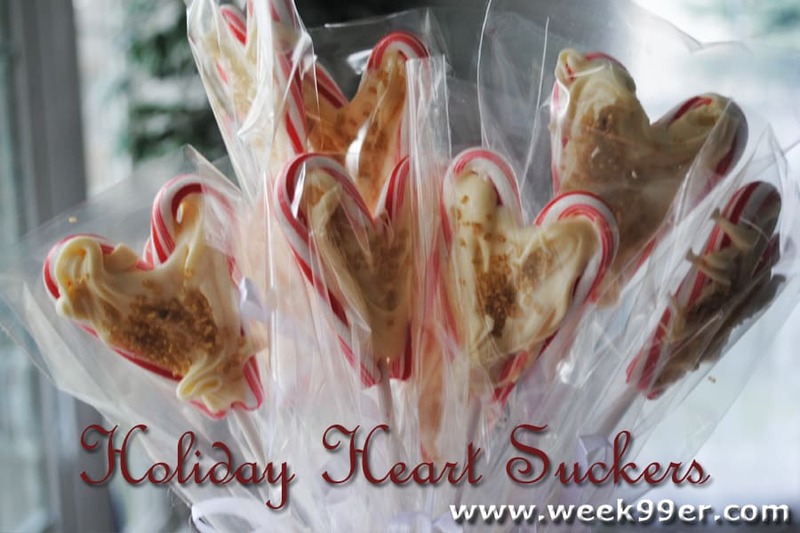 Quickly use your hands to push the base and the top of your candy canes to hold onto the stick. You will notice them form to the shape and some pressure may be needed. In a small bowl add in your chocolate chips. Microwave on low heat for 30 seconds and stir with a spoon. Repeat until your chocolate is smooth and easy to move. With the same spoon take a little bit of your chocolate and pour it over stick in the center of your heart. Again, this is hot so not a step for little ones. Depending on the brand of chocolate you choose to use, you may need to smooth out the chocolate and fill in the hearts. Bring on the sprinkles! Let your kids go wild and decorate the chocolate! It will still be soft enough to hold onto sprinkles for about 30 minutes. Allow to cool! For your chocolate to fully set and complete the suckers it will take at least 30 minutes. 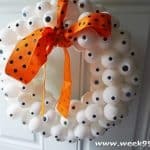 Once the suckers are dry, you can put in baggies and tie with ribbon and give them out as gifts or use them as a cute display. They’re candy coated deliciousness! Remove from the oven, remember it's hot - this is a step parents should do! 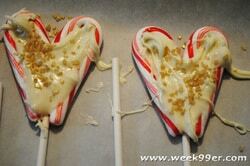 Quickly use your hands to push the base and the top of your candy canes to hold onto the stick. You will notice them form to the shape and some pressure may be needed. 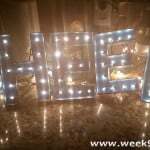 DIY Marquee Letters – Great for the Holidays or Gifts! 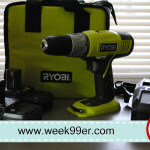 Ryobi 18V Lithium-Ion One+ Drill Kit Review – Great for All Project Sizes! Next Custom Holiday Ornaments Review and Giveaway!